Fingerprint locks, or biometric locks, provide state-of-the-art entry into a facility without the use of keys. These keyless entry locks operate through fingerprint recognition and can often be observed in a number of facilities including homes, office buildings, government buildings, airports, cars, laptops, safes, and more. Biometric locks mean no more digging, searching, and fidgeting with messy key rings to gain entry into your facilities. Instead, users simply apply their fingertip to the scanner to disengage the keyless entry lock and gain access in a matter of seconds. And, with biometric locks, individuals are able to key in their own unique code, which means gone are the days of costly lock replacements once an individual moves away. Simply erase the person’s code, and they no longer have access to the facilities. Fingerprint locks operate via thermal or optical scanner and can be biometric, pin code, or a combination of the two to disengage a keyless entry system. 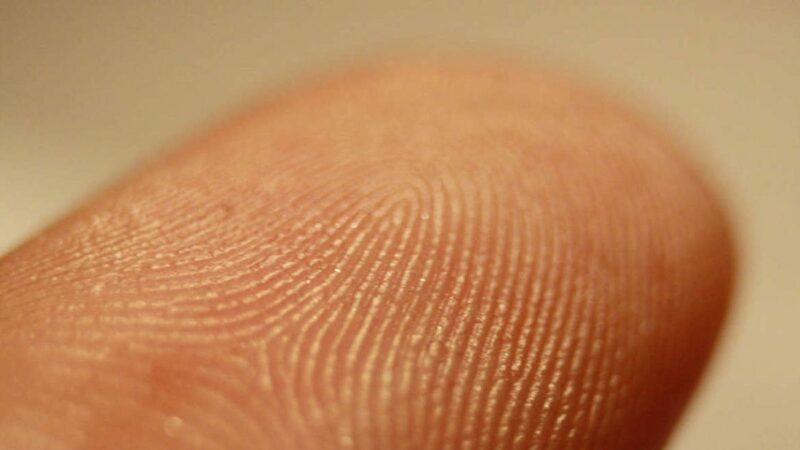 Once your fingertip is pressed against the scanner, it automatically memorizes and identifies each individual’s fingerprint by its unique characteristics. If the lock is a dual-authentication keyless entry system, once the fingerprint is recognized, the individual then types their individual code into the keypad for authorized entry. Once the lock has been activated, it will automatically reset after a few seconds, at which time the code will have to be reentered in order to deactivate the locking mechanism again. Biometric locks can be accessed on site or via remote control or cell phone. These locks are available in a variety of styles including deadbolt, deadbolt fingerprint latch, IP network locks, and more. These keyless entry options also come in various colors to accommodate any exterior. Users also have the option of purchasing a biometric lock with an intruder alarm. Biometric locks are comprised of durable materials and are weatherproof to block dust and water. And in the event the system malfunctions or the battery pack fails, replacement tag keys can be used to gain entry. Fingerprint locks easily replace existing locks and can be installed in just a few short steps. One drawback of biometric locks is that they operate via a battery pack, which requires basic double AA batteries. This means, just like any other battery, they will eventually need to be replaced in order to maintain their function. Therefore, be sure to inspect and replace the batteries regularly to avoid a malfunctioning keyless entry system. Another drawback to fingerprint system is since they rely on minute pattern matching, if the surface of the user’s finger becomes damaged in some way, such as by a cut or scar, it will make it difficult for the recognition system to read the print, thereby, delaying or denying access into the facility. So, be sure to keep your chosen finger injury-free, or you will be forced to use the key code or replacement key to gain entry. Some biometric locks have a mechanical key entry, which can be used in the event the fingerprint reader fails; however, this could pose a security risk. According to an article on Wired.com (1), one DefCon hacker simply inserted a paper clip into the mechanical key entry of a certain brand lock to depress the pin that engages the latch, gaining entry into the door. Many manufacturers have become aware of such flaws in their systems and have since gone on to make adaptions to their keyless entry systems. Therefore, when selecting a biometric lock, or any other keyless entry lock, it is important to purchase the lock from a reputable manufacturer. A professional Denver locksmith who remains up to date on industry changes and can recommend the best lock for your needs. Lastly, biometric locks are fairly easy to install; however, as with any security system, it needs to be installed properly in order to reap the full benefits. Professional locksmiths are highly trained in the proper installation of various locks to help ensure you and your family’s safety. They also offer a warranty on parts and service in the event that you encounter issues later. If you are interested in a keyless entry system for your business or your home in Denver, contact Job Done Locksmith to get started.